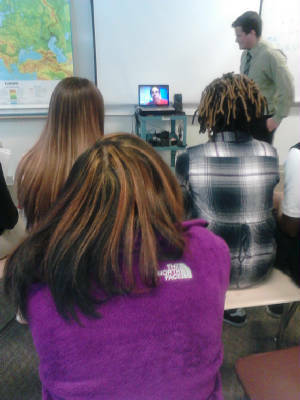 Mr. Richardson, Mr. Fox's Student Teacher, takes our Social Studies Lovers on a Skype (Internet video) visit to Germany. 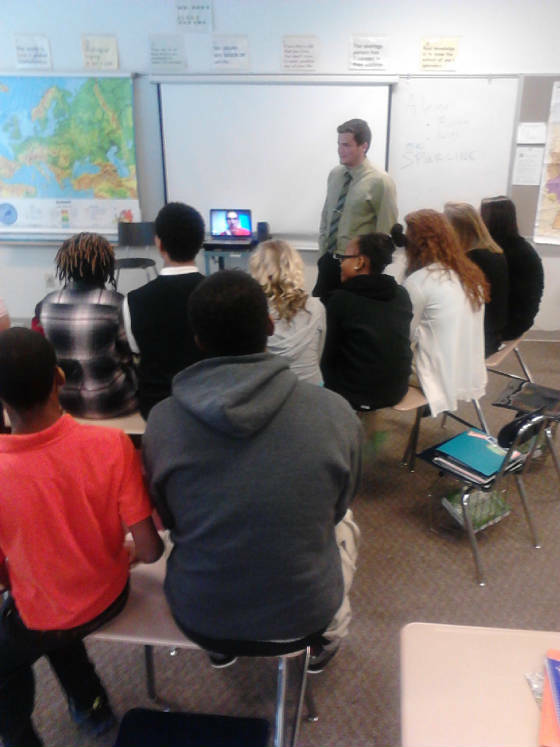 We had the opportunity to speak live in a two way conversation with a Ball State graduate teacher working at a U.S. Air Base in western Germany. 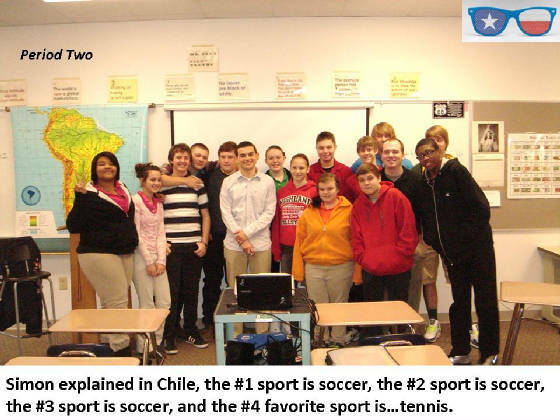 Our students will be entering a world of technologically related work. 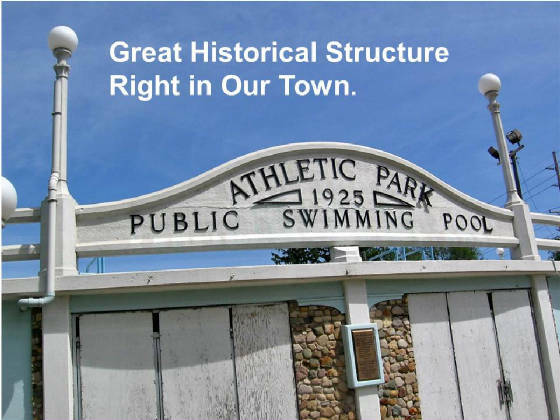 We are working to assure they see the entrepreneurial possibilites of this new workplace. 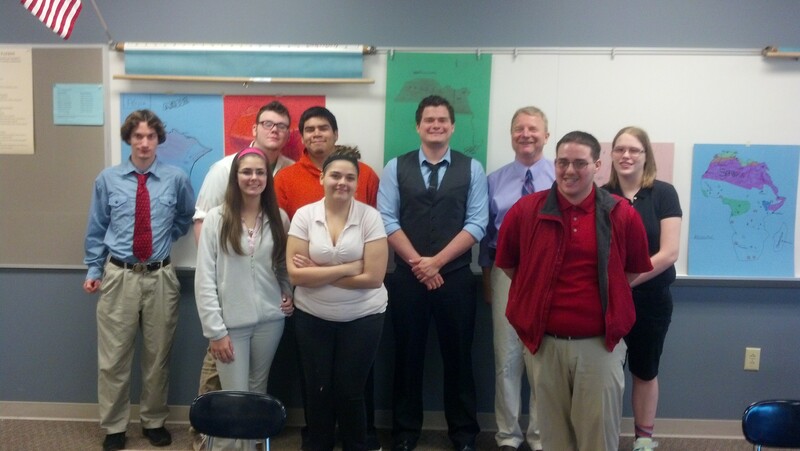 A Found Goodbye to Mr. Richardson...a super Student Teacher. 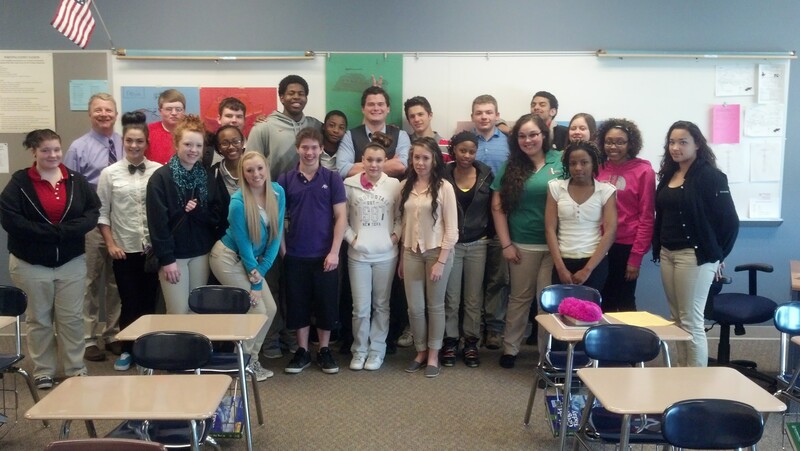 Period 5 - "The Fab Five"
Period 6 - Your Gonna Need a 5 Hour Energy for These Guys. 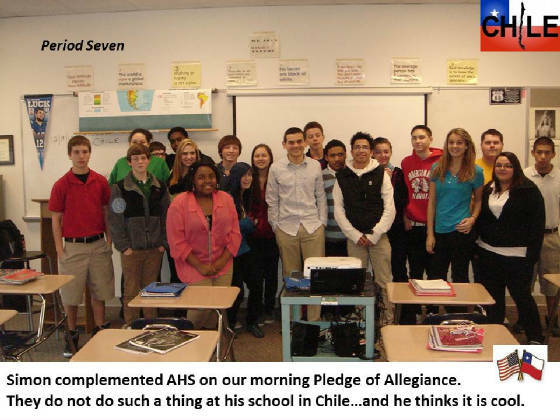 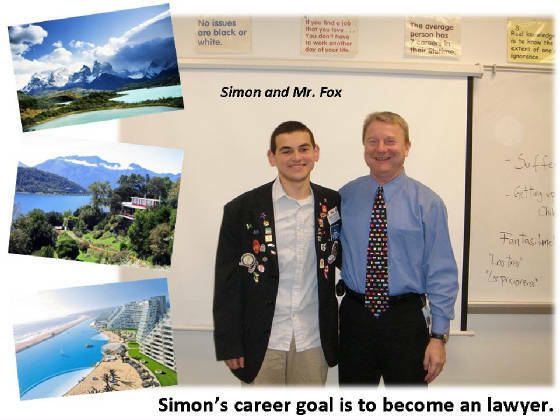 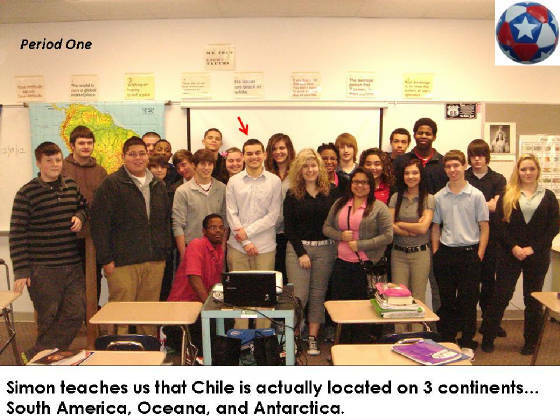 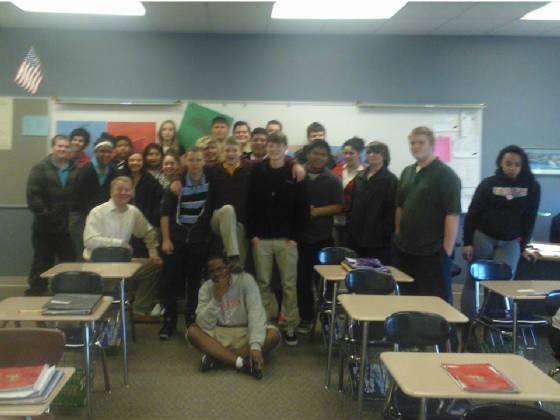 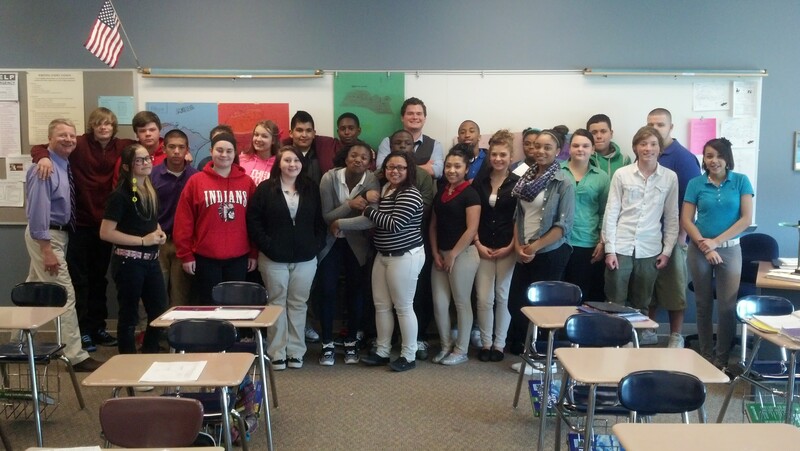 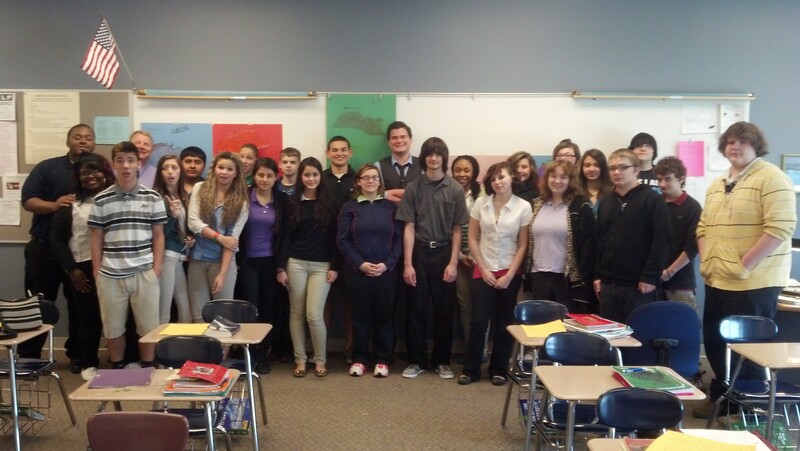 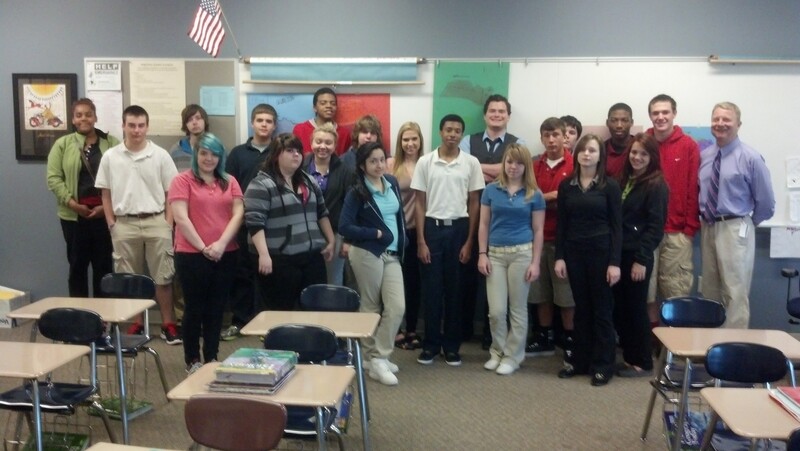 Our new friend, Simon Pinto, visits Mr. Fox's Geography and History of the World classes. 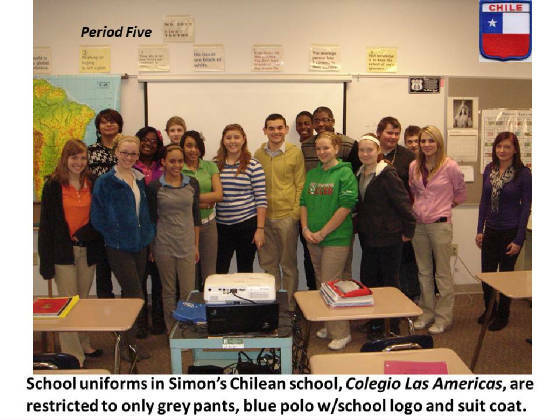 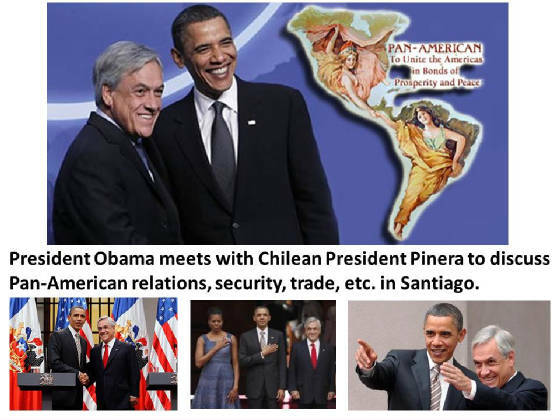 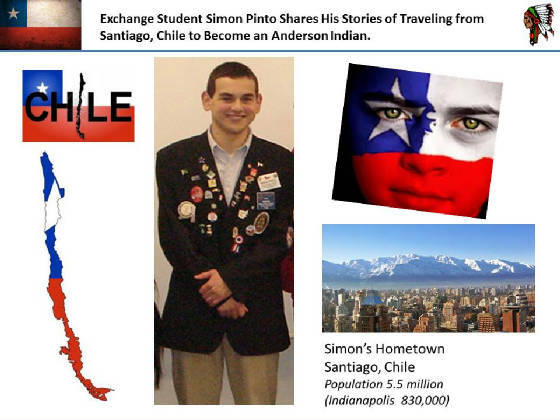 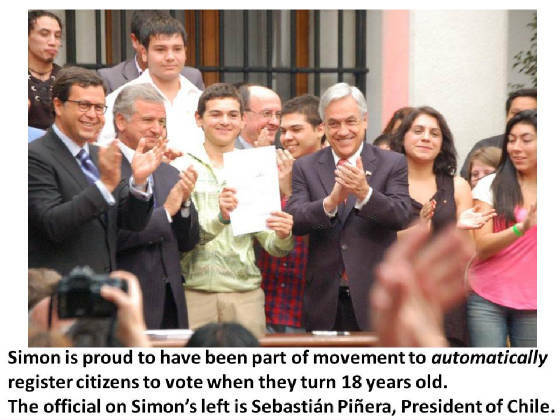 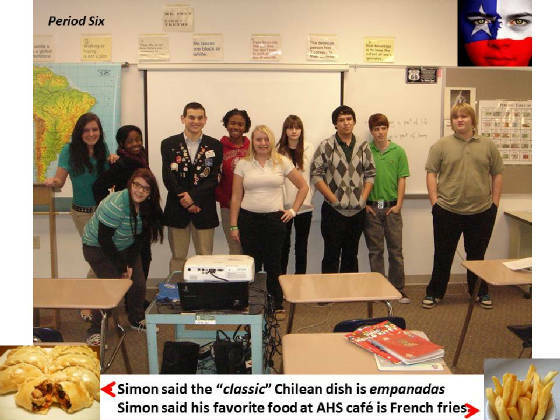 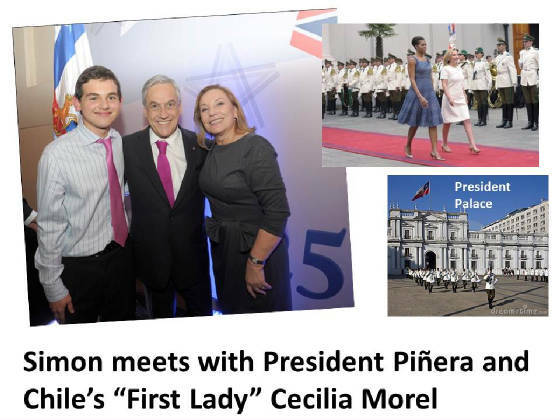 Simon is from Santiago, Chile. 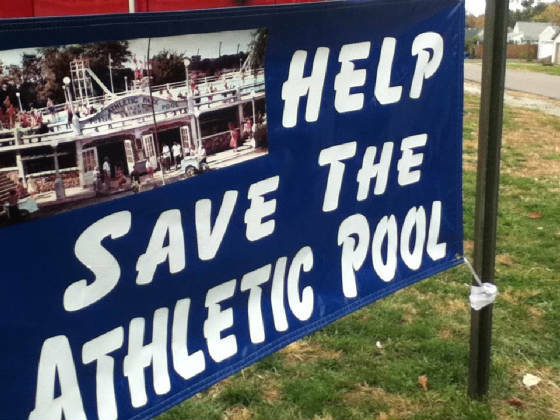 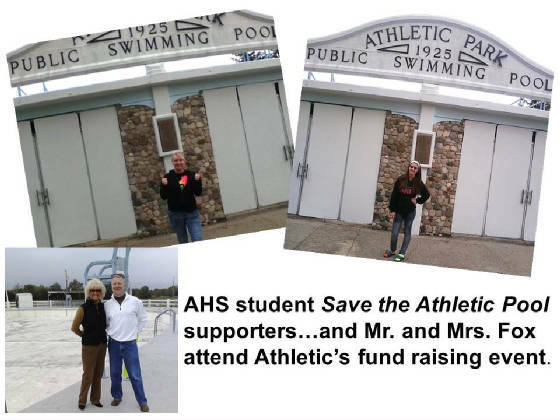 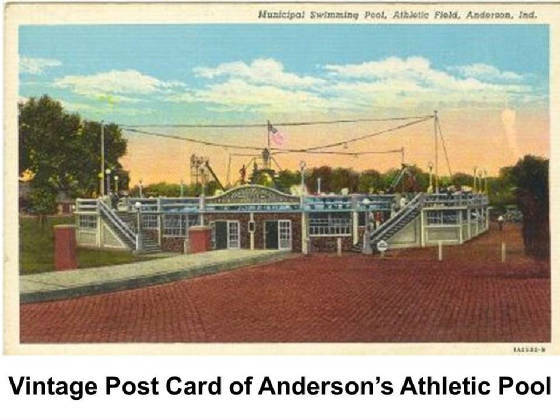 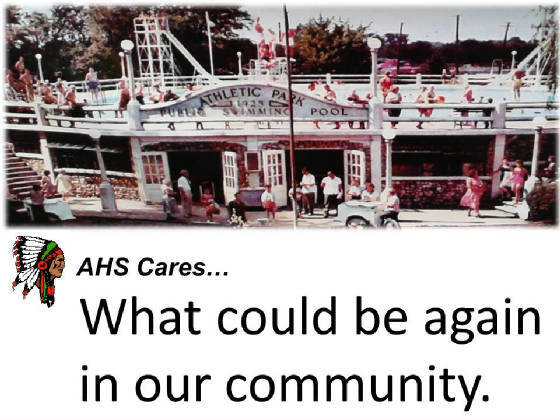 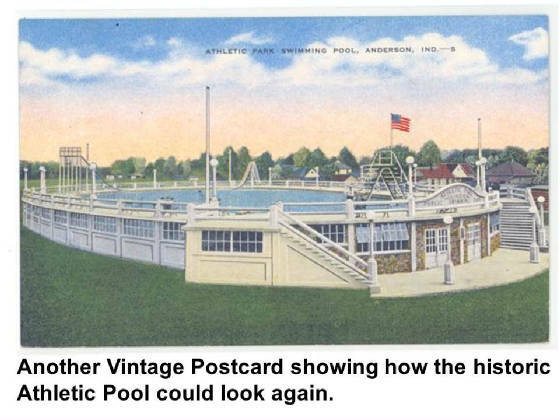 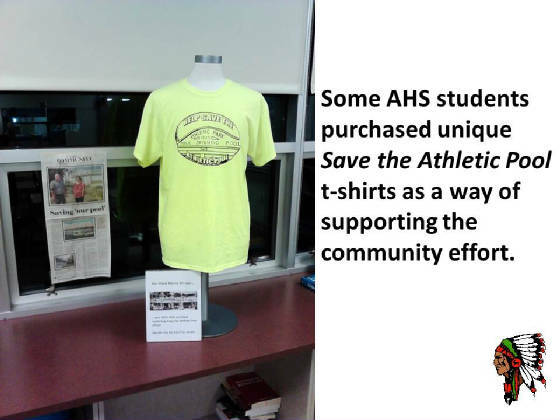 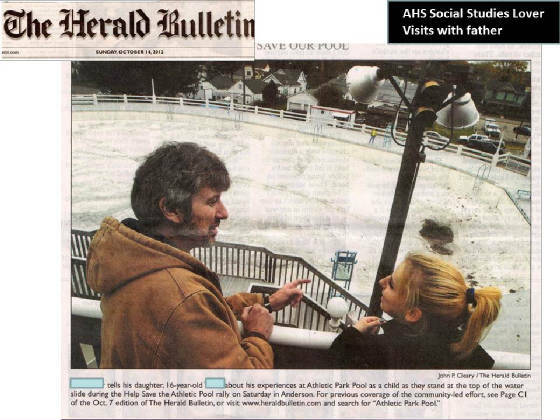 Social Studies Lovers contribute to the effort to save the historic Athletic swimming pool.